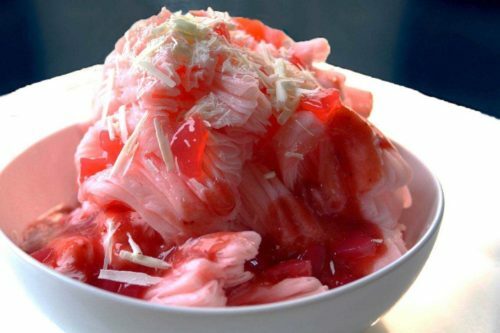 Shaved snow (also known as snow ice, snow fluff, snow cream, shaved ice cream, or shaved cream) is a flavored block of frozen milk that is shaven into thin, fluffy ribbons and covered with a variety of sweet toppings like fruits, red beans, boba, chocolate chips, etc. 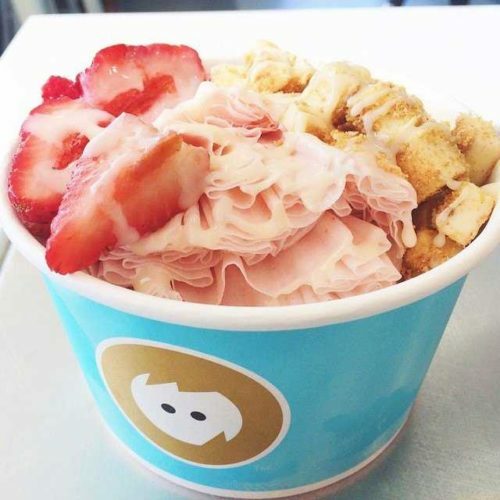 It has a light, smooth and creamy texture with a wide variety of flavors ranging from matcha green tea to strawberry shortcake. 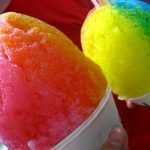 Make sure not to confuse shaved snow with other common ice-based desserts like snow cones and shave ice. 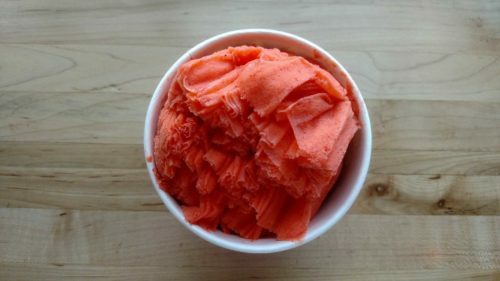 Snow cones are ground-up ice shavings covered with sweet colored syrup, while shave ice (or shaved ice in the mainland) is a Hawaiian dessert made of finely crushed ice covered in condensed milk, fruits, beans and other sweet toppings. Shaved snow is said to have been invented in Taiwan at the Shilin Night Market. Where can I get it? 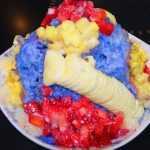 Shaved snow can usually be found in areas dense with Taiwanese or Asian restaurants. 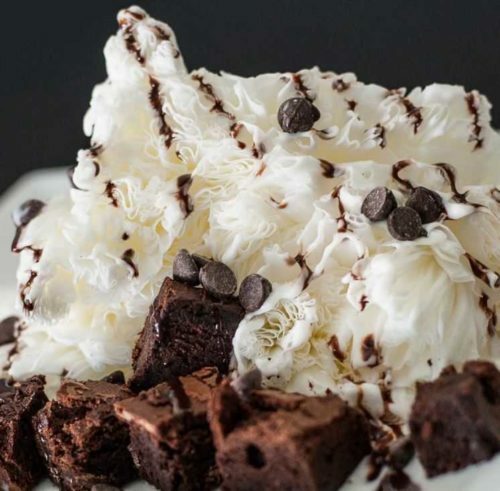 Here are some places where you can enjoy this smooth frozen dessert. 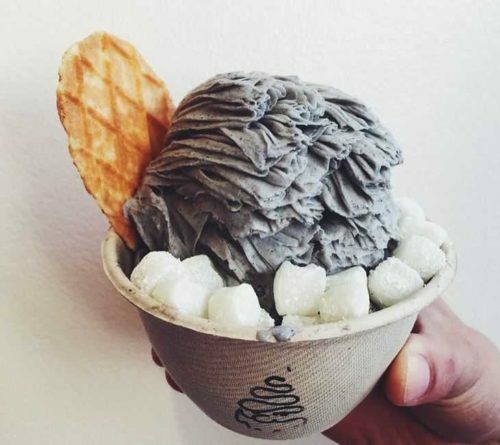 Looking for more places that serve shaved snow? You can find them on Glutto right here. How can I make it? It’s pretty straightforward and easy to make shaved snow, as long as you have the right equipment. These are simple instructions on how to make those sweet fluffy ribbons like a pro. Thanks for making it clear that snow cones actually use ground-up ice shavings that are covered with sweet colored syrup. My husband and I are planning to shop for snow cone flavor concentrates. We want to make sure that before we place our order, we have the essential tools that we’ll need to make snow cones. 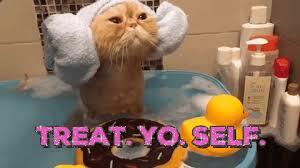 I will make sure to find a place where we can order ice shavings. 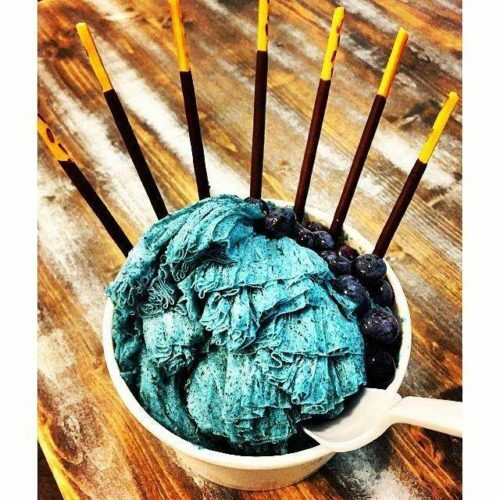 Ellen, if you are looking for some of the best shaved ice flavorings, regular & all natural, then you will want to check out Snowie in Salt Lake City Utah! They manufacture equipment and flavorings in house. I think I have tried them all and hands down, Snowie is the best flavorings. They do not leave that nasty after taste that the cheaper brands will in your mouth. Hope this helps!